Create Fake Blue Screen of Death in your Window Computer. With this trick you can easily Prank your Friends, Family and Coworkers. If you want something new try this trick in your PC.Blue Screen of Death (BSOD) is an error message displayed in Windows after a system crash has occurred. We very well remember how BSOD crashed Bill Gates’ Keynote. It is a common affair for regular Windows users but it can give you nightmares if you’re new to Windows. Step 3. Now save this file as fakebluescreen.bat in your computer. Step 4. Open fakebluescreen.bat in your computer. 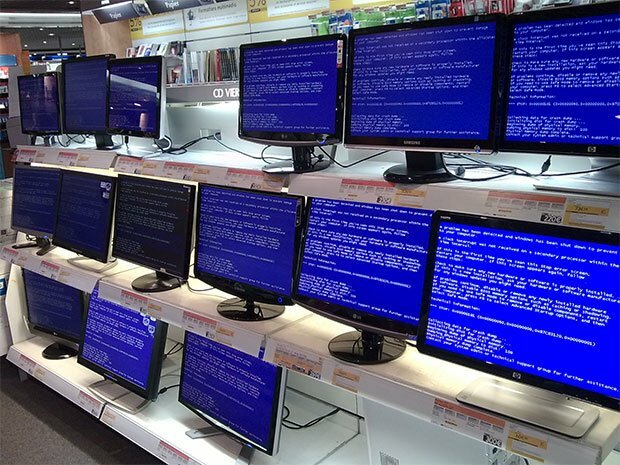 Now a fake blue screen of death appear in your computer. Step 5. To exit from a fake Blue screen of Death press Window Button and close Command Prompt and Pop-up Window. Here we collect two websites for you, these two websites create fake blue screen of death in your computer without typing any code in your computer. Open below link in your computer and press enter button in your computer. This is one of the most popular website for creating fake window updates and fake blue screen of death in your computer. FakeBSOD.com is also a great alternative of fakeupdate.net website. Open this website link in your computer. hen click on Click Here link. Now you see blue screen of death in your computer.